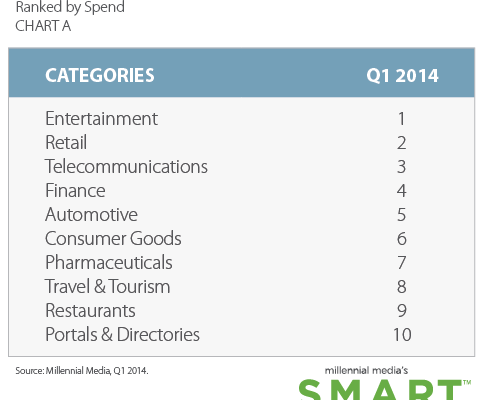 Each quarter Millennial Media (MM) comes out with a valuable Scorecard for Mobile Advertising Reach and Targeting (S.M.A.R.T.™) report. The access that these advertising platforms have to key metrics around ad-spend by various segments: demographic, geographic and others that could be very helpful to mobile developers to target their apps from a better monetization perspective. 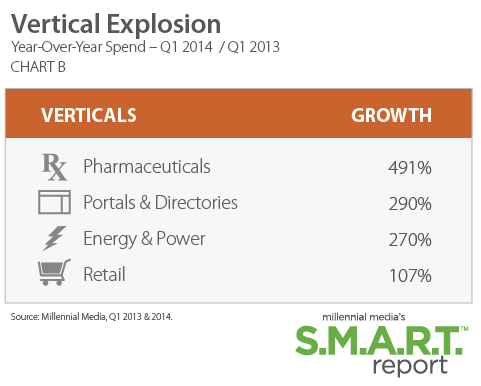 In this Q1′ 2014 report, MM addresses spend in the Telecommunication vertical.